Wondering about ways to consider hanging your art collection? There's the obvious "goes with" solution. You might hang by subject or by size. For example, I know a Savannah woman who hangs small coastal landscapes by many different artists in many different styles and media in one area. Or hang by artist and by artist's region. 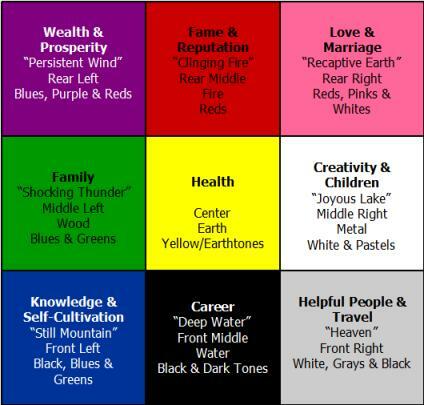 In the last two years, I've been using feng shui principles. Because of feng shui's cataloging of colors, elements, characteristics and psychological and physical areas, your artwork can help to create harmony and balance in your home. I often switch out my artwork to create different "cures" for the season, for current business, personal, academic climates. Best part? Intellectually and visually stimulating. Here's a simplistic set of possible uses for this painting made in 2013. This work features Turtle Island, sand, water, grasses, oyster beds, and blues and green with accents of white, cream and black. It also has a small vein of orange red. The substrate and risers are lauan and poplar (wood) respectively. The image shape is square which corresponds to the wood element. career: put in north corner for augmenting career and or wealth. water can bring movement and should present the water falling and/or incoming but it needs to feel as though it has movement. communication: because this painting contains a good number of the five element colors (green, red, yellow, white and black) it can also promote balance in communication and in developing business partnerships. add your intention as you hang the painting. love: if you love this painting and you want to heat up your love area, you will need two of these. presentation of two things or "couples" is the key here. pink is the preferred color for this area. peony imagery in the bedroom is known to be effective. water features and images are not recommended as water douses fire. not good in the bedroom! bathroom in wealth corner: feng shui specialists suggest using green, black, brown, wood, sand and earth (symbols) to create harmony and balance if your wealth center is in the bathroom. this can be a challenging area for a wealth center because of potential grime, clutter and, well, flushing. above all keep the toilet covered and add green! wealth: you don't actually make money by feng shui'ing (i say FUNG SCHWING - totally wrong, but this, ok? ), but you prepare and support yourself for doing so. this is how feng shui actually works - by consideration, preparation, practice and maintenance. that being said, water is considered the money element and blue the money color. so bring the moving water to add kwan - the Cuba Gooding Jr kind. You'd have to study a good bit to understand all the many ways this painting or any other could be used to help create the balance that you see in the feng shui chart itself. I have only mentioned a few uses for a painting that features the colors and elements that this one does. The greatest challenge in using feng shui: evicting clutter and creating a balance between the elements in each area. The range of possibilities becomes the challenge and the fun. NOTE: I am not a feng shui specialist. Just started studying two years ago. Please feel free to email me if you are and have additional suggestions or any corrections.